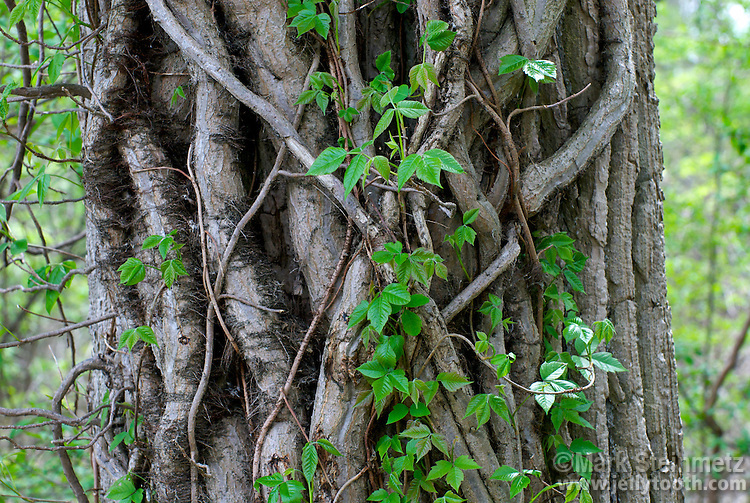 Close-up section of an Eastern Cottonwood tree trunk covered in Poison Ivy (Toxicodendron radicans) vines. The typical trifoliate poison ivy leaves are leafing out along the length of the vines. Also characteristic along the vines are "hairs" which are aerial rootlets. Mid-May, Ottawa County, Ohio, USA.